After five uninspiring years as a corporate controller and CPA, Curt Bonk received his master’s and PhD degrees in educational psychology from the University of Wisconsin. 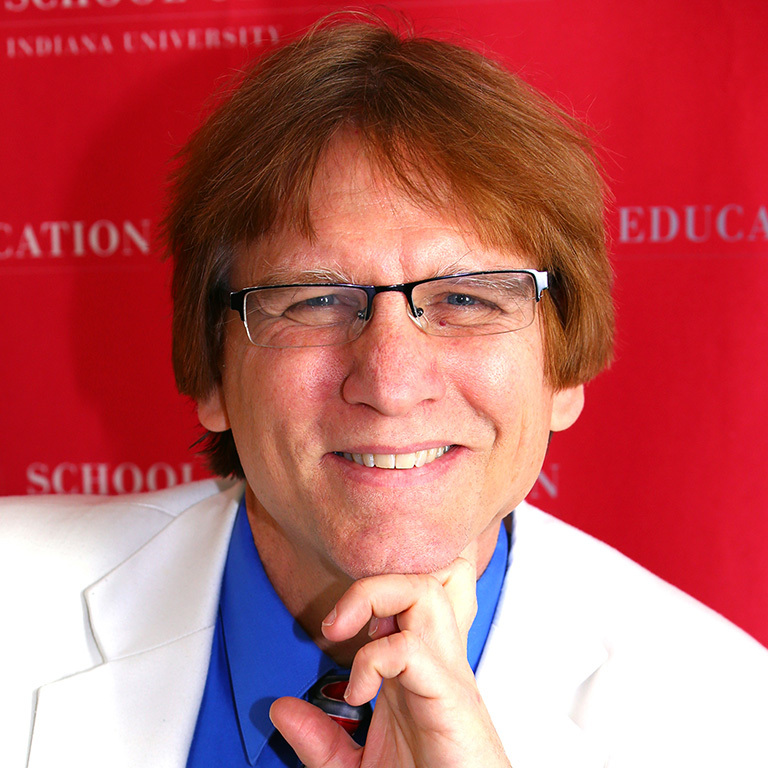 He is now Professor at Indiana University (IU) teaching psychology and technology courses and adjunct in the School of Informatics. Curt is also a founding member of the Center for Research on Learning and Technology (CRLT) at IU which opened in the late 1990s. Drawing on his background as a corporate controller, CPA, educational psychologist, and instructional technologist, Bonk offers unique insights into the intersection of business, education, psychology, and technology. Curt has received the CyberStar Award from the Indiana Information Technology Association, the Most Outstanding Achievement Award from the U.S. Distance Learning Association, and the Most Innovative Teaching in a Distance Education Program Award from the State of Indiana. In 2003, Curt founded SurveyShare, which he sold in 2010. From 2012 to 2017, Bonk has been annually listed by Education Next and Education Week among the top contributors to the public debate about education from more than 20,000 university-based academics. In August 2014, he was named the recipient of the Mildred B. and Charles A. Wedemeyer Award for Outstanding Practitioner in Distance Education at the 30th annual Wisconsin Distance Teaching and Learning Conference in Madison, Wisconsin. In November 2016, he received the AACE Fellowship Award from the Association for the Advancement of Computing in Education for his leadership and service to the field. Exactly one year later (November 2017), he was fortunate to be award the Online Learning Journal Outstanding Research Achievement Award in Online Education from Online Learning Consortium in Orlando, Florida. A well-known authority on emerging technologies for learning, Curt has given over 1,500 talks around the globe related to online teaching and learning. In addition, he has over 300 publications on topics such as online and blended learning, massive open online courses (MOOCs), massive multiplayer online gaming, wikibooks, blogging, open source software, collaborative technologies, and synchronous and asynchronous computer conferencing. Curt taught a MOOC on online teaching in the spring of 2012 to nearly 4,000 people that was hosted by Blackboard in CourseSites. Curt Bonk is author of the Handbook of Blended Learning: Global Perspectives, Local Designs (2006) as well as Empowering Online Learning: 100+ Activities for Reading, Reflecting, Displaying, and Doing (2008), and The World Is Open: How Web Technology Is Revolutionizing Education (2009). His recent book, Adding Some TEC-VARIETY: 100+ Activities for Motivating and Retaining Learners Online (2014), is freely available to download as an eBook at http://tec-variety.com in Chinese as well as English. His latest book with Routledge, MOOCs and Open Education Around the World as well as a special issue of the International Journal on E-Learning on the same topic both came out in July 2015 (http://moocsbook.com). That book received a distance education book of the year award from AECT in 2016. His recent keynote talks and myriad Web resources are posted at TrainingShare.com.